02. Children Go where I send thee (Trad.) 05'28"
03. Elijah rock (Trad.) 04'16"
04. 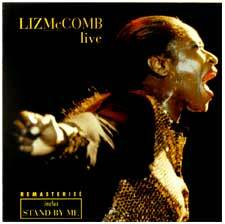 I got a made up mind (Liz McComb) 04'24"
05. Stand by me (Trad.) 06'13"
06. If I labour in the vineyard (Trad.) 03'12"
07. By the rivers of Babylone (Trad.) 07'03"
08. I stood on the banks of Jordan (James Cleveland) 06'53"
09. You can't make me doubt him (Trad.) 04'18"
10. I've been bucked (Trad.) 07'59"
11. Wade in the water (Trad.) 06'38"
12. Said I wasn't gonna tell nobody (Alex Bradford) 05'07"
13. Go down moses 05'02"